All photos by Bob Lane - see also "flora and fauna". Big Lake, Alberta has been declared to be "a globally significant Important Bird Area" (IBA). 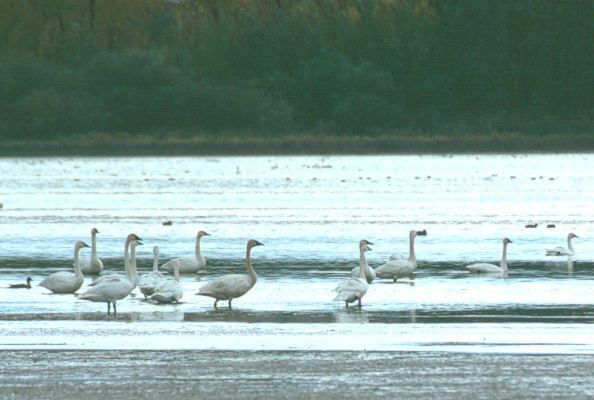 One of the criteria that led to this distinction is the use of this large wetland area by Tundra Swans during migration. The larger Trumpeter Swans also use this lake for resting, but in smaller numbers. Tundra Swans do not nest in Alberta, while Trumpeter Swans do nest as close to Big Lake as Elk Island National Park. Trumpeter Swans nesting in Oregon. 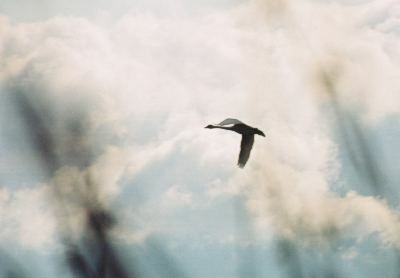 Tundra Swans take some distance to launch themselves when they decide to fly from water. The noise of their wings beating against the water is quite characteristic and you can often hear groups of swans taking off without having known they were present nearby. Tundra Swans are considered by many to be one of the most elegant of animals. We are truly privileged to be able to see them at close hand. We must be careful, however, to avoid disturbing them and find opportunities to watch them without causing stress. If you are really lucky, you might see a flock of 50 or more with wings set gliding into Big Lake in a sight that is truly awesome. Or, driving along Meadowview Drive you can easily see the larger flocks resting in the shallow waters of this provincial Natural Area. 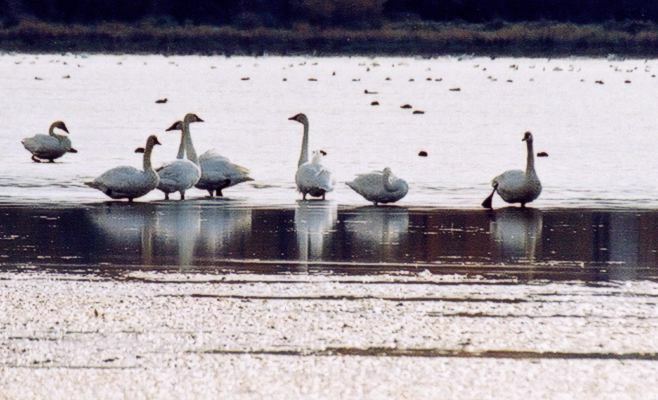 On one occasion, BLESS counted 12,000 Tundra Swans resting on Big Lake. For more information about this or any other species of birds on Big Lake, contact the Big Lake Environment Support Society.